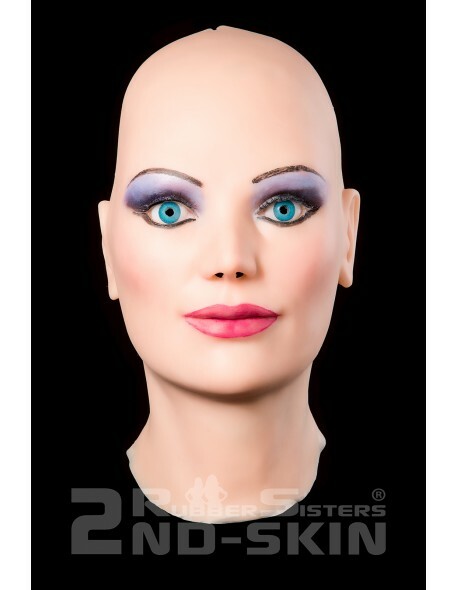 This "Veronica" female mask is especially designed for people who wants to transform themself into a living mannequin. 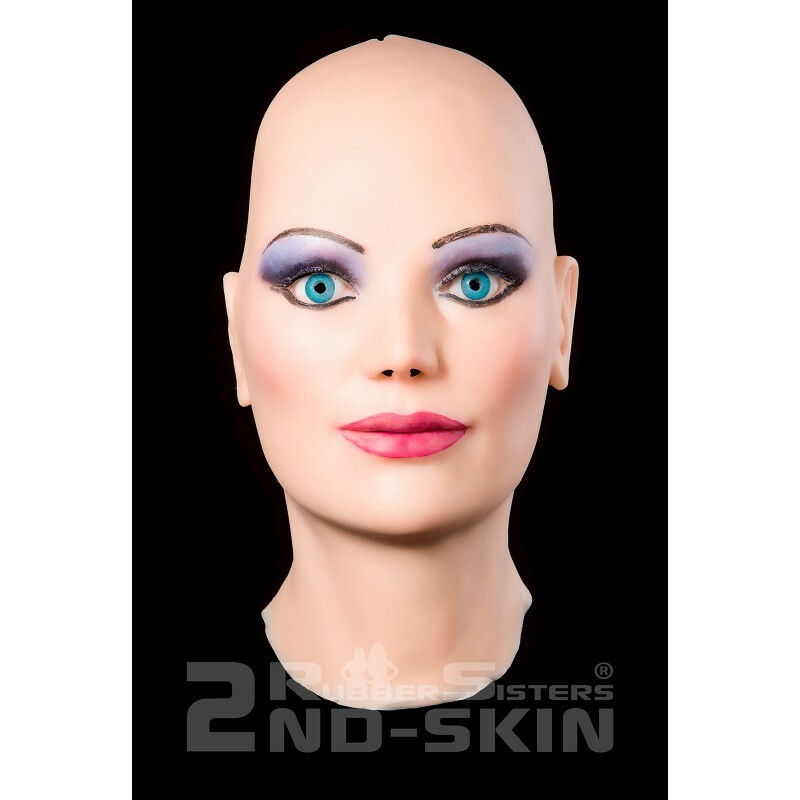 The mask is made of professional makeup-artist silicone and looks very human like. There are holes in the eyes to look through and holes in the nose to breath. The mouth is slit and to open. The natural skin tone gives her a very realistic look. This high quality female mask can be worn for hours and still remain comfortable. The very realistic looking mask is thick enough to hold their shape and thin enough to move with your face. The mask is complete handmade and unique and comes costumized with a zipper in the back. We offer the mask in different head sizes (head circumference) between 53 cm to 64 cm (22 inch-25,2 inch) and you can choose the eye colour. Please send us the head and neck circumference with the order. We are painting a fixture of basic make-up and soft rosè lips. To change her look you can use any regular make-up. Attention: These mask will only be manufactured to customer specification and it’s not possible to redeem or exchange these article.